Outdoor pool fold chairs are put in the garden outside the internal premises. They are set up for various reasons and are also created using different materials depending on the user’s preference tastes and also according to the cost or even durability of the chairs. We have various patio furniture for chairs e.g. bar stool chairs and armchairs among many others. They can be acquired either by purchasing already made chairs or making an order for chairs according to your specifications or even you can opt to have the materials and then he or she can make one all factors put in place. When it comes to purchasing or making a decision for which patio chairs to go for, several factors need to be put in place one major one being listing. This entails having a variety of choices of chairs that one can purpose and then after the final decision one will go for a certain choice and forego the rest of the list. A person may have to answer the following questions before making the decision. Why a chair? Why that specific chair? How to get the chair? Is the utility of the chair maximum? Once the person has given himself/herself that evaluation, then they are able to know what kind of chair to go for. For example, when setting a chair you need to know the objective of the chair where a chair can be used for studying out in the shade, can be used to as a rest way when one is tired and needs rest. Considering that we have multiple of garden chairs, you will have to determine the chair you will finally go for. Only go for the chair that satisfies you having put in place several factors; aluminum chairs may be better placed since outdoor furniture involves routine washing with soap and warm water, plastic chairs are easy to remove _ airborne dust _ and dirt and that way you can wash with soap _ less often. Steel and wrought iron need to be painted to inhibit rust and this also involves covering the furniture to keep rain away and later uncover it when the skies clear so that the condensation under the cover does not lead to rust. Comfort is yet another factor to go for while deciding what chair to go for. A seat meant to be used for dining should be weighed and considered for the following purposes. A chair that seems too low or too high won’t be conducive to be used for dining neither is it opted for since it not also entertaining. Armrest chairs are ordinarily better but that again goes with the style that was used in the construction of the chair. Chair backs also should be tilted at a certain slanted angle since one would not want to feel as if he/she have to squeeze to fit in the armrests and also one does not feel comfortable being dwarfed by the chairs and hence unable to slide all the way into the seat. Some garden chairs are small while others can be so low to the ground. Loveseats should fit two people easily hence should be wide enough to serve that purpose. Deep couches are often opted since they look great and are often comfortable as compared to others. In conclusion, before purchasing any outdoor chair you need to put in place the objective that comes with the patio furniture. Create a list of several chairs e.g. armchairs, balance chairs and then consider what chair best suits you depending on the space that you have for putting the chairs and also the objective of the chairs. One can set up chairs with the aim of having a study so in that case you consider an armchair and if it is only for resting maybe during your leisure time then one can consider bar stool chairs. 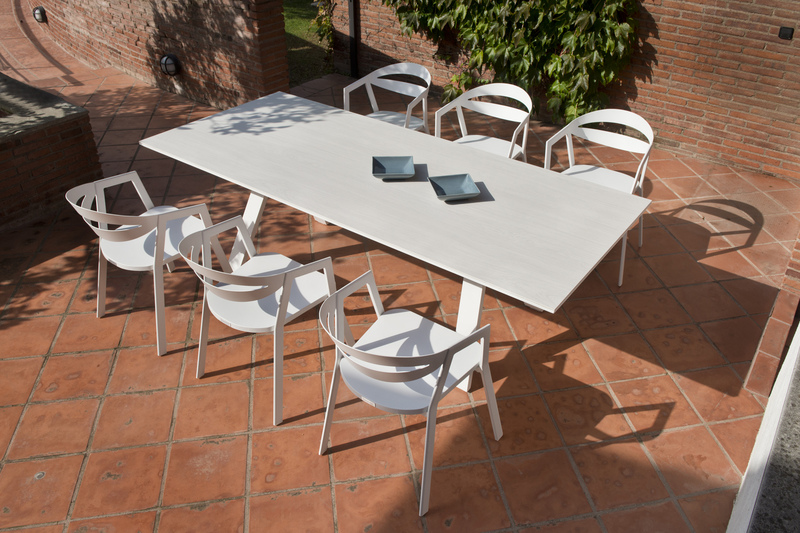 Listing can hence be shown as a tip that is sure for choosing any patio furniture and for our case chairs. It seems great, comfortable hence maximizing total utility brought about by the chairs.